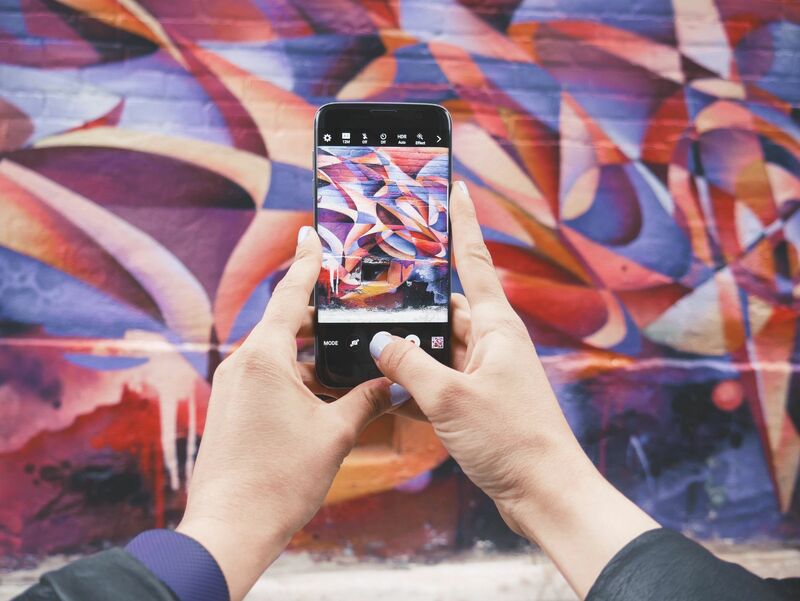 You’re minding your own business, just calmly looking at websites using your Android phone or tablet. Suddenly, a popup ad intrudes. It claims that you’ve won something, your device is infected with viruses, or some other lie. Since it’s keeping you from doing anything else, it looks like your only choice is to interact with the popup and let the chips fall where they may. DON’T DO IT! I guarantee you haven’t actually won anything. 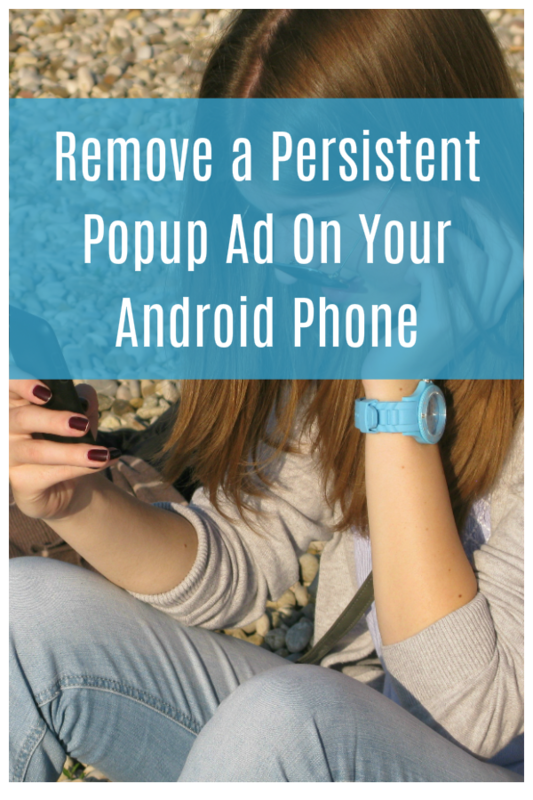 Your Android phone or tablet probably isn’t infected with a virus, but it might be if you touch anywhere on the ad. So, what can you do? 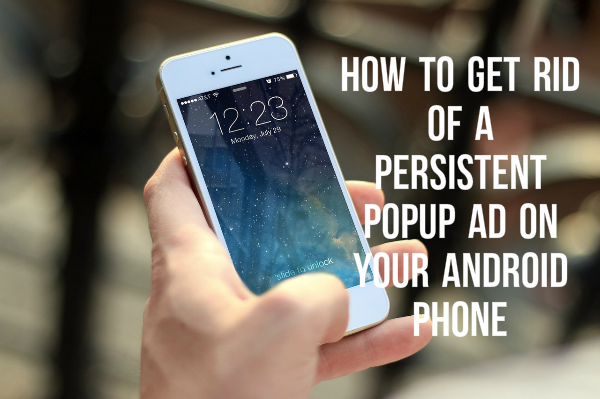 You’ll need to find out how to get to “recent apps” on your device. On some units, there’s a soft button for it, like on most late-model Samsung Galaxy series tablets and phones. On some devices, you need to hold in the home button for a few seconds to bring up recent apps. Whatever the method, do this, then touch the button for Close All. Next, you need to put your phone or tablet in Airplane Mode, which turns off all data connections. Drag your finger down from the top and look for the Airplane Mode icon. You may need to scroll to the side to find it. Touch it once to activate it. Touch your Escape or Go Back key. Touch your icon for Chrome or Internet, whichever you were using when the popup occurred. You should see a message that the site can’t be found. Touch the X on the tab with the offending ad to exit it. Make sure none of the other tabs contain sites you don’t recognize. If any do, exit those, too. Use recent apps again to exit Chrome. 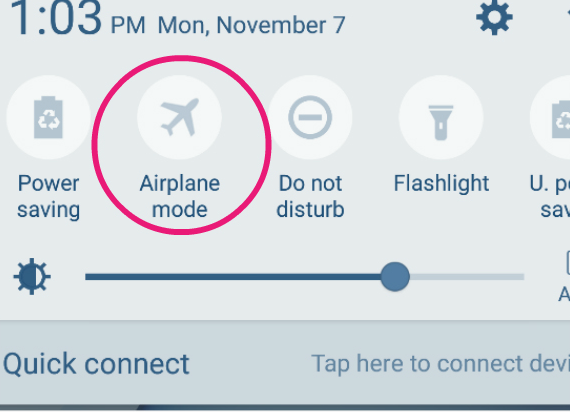 Drag your finger down from the top and disable Airplane Mode by touching it again. Give your device a minute or so to reestablish its data connection. Go back into Chrome, and you should be able to bring up websites again. Where Do These Pesky Popup Ads Come From? You might associate malicious popup ads with websites in categories such as adult, gambling, gaming, dating and so forth. 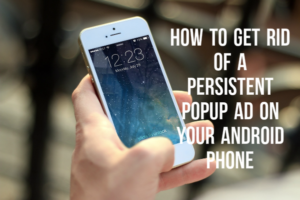 However, malicious popups generally come from ad networks that exist on many popular websites, including TV stations, newspapers and political sites. Companies that want to advertise sign up with ad networks, paying them for placement on websites. Ad networks, in turn, pay websites in various ways. Some pay a few cents based on how often an ad is displayed, and some pay only when the ad is clicked on. The ads rotate, using computer algorithms to determine when and where to display each ad. Probably the most well-known ad network is Google Adsense, but there are many others. Some are, shall we say, more picky about their advertisers than others. They all probably require that advertisers sign contracts agreeing not to use ads to distribute malware, but hey, these are criminals we’re talking about. Anyone who distributes malware isn’t going to let a contract stand in his way. The main reason I use only one ad network on my website, Google Adsense, is to lessen the chances that my site will be used to distribute malware. I’m not saying Google is perfect, and I don’t think any ad network can completely keep out the bad apples. However, the more ad networks a site uses, the more likely it is that a malicious ad will rotate onto the site. The money LivingWithBeth could possibly make by using a variety of different ad networks isn’t worth the risk. I do use affiliate links to support the site, including display ads and text links. These are ads that I control. My instructions for tablet and smartphone popups might also work on an iPad or iPhone with minor adjustments. If you see such an ad on your computer, immediately shut down using the power button (hold in for 10 seconds to do this). Wait a few seconds and then turn it back on. Any work you might lose is worth the price – trust me. You don’t want to take a chance on infecting your computer with malware that could hold your files hostage and/or send spam emails to everyone in your sent email folder. Did these instructions help you out of a bind? Did anyone happen to try them on an iPad or iPhone? What adjustments to the instructions did you have to make in order for them to work on Apple products?